Today’s ever-evolving threats require a new way of thinking. 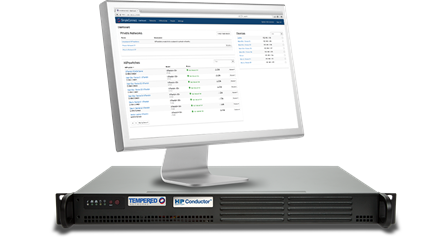 At Tempered Networks, we take a revolutionary new approach with a “baked in” versus “bolted on” security solution, that can be dropped into existing networks and leverages HIP (Host Identity Protocol) and IF-MAP to orchestrate configuration, trust relationships, and policies. It’s a highly cost effective, transparent solution for OT that preserves existing IT security and infrastructure investment. Tempered Networks’ next generation security platform stops breaches before they happen through its innovative ‘cloaking’ capability, using identity-based overlay networks that drop into your existing network. Our solution safeguards your business critical assets, communications and vulnerable endpoints, enabling them to securely connect over shared infrastructure. Centralized orchestration of trusted overlay networks offers unprecedented scalability— securing thousands of endpoints is as fast as securing ten, significantly reducing operational costs. Leveraging HIP, Tempered Networks offers a fundamentally new approach to cyber security that can immediately help organizations improve their security posture and simplify their networks. We provide the operational efficiencies required to protect enterprise infrastructure in today’s complex environment, while enabling a highly flexible network architecture. Through the power of centralized orchestration of trusted overlay networks, you achieve unprecedented efficiencies and easy micro-segmentation—down to the device level. Our breakthrough security platform is purpose-built to eliminate the complexities and overcome the human error associated with current security products. It allows for massive scalability and can be managed by staff without advanced IT skills. 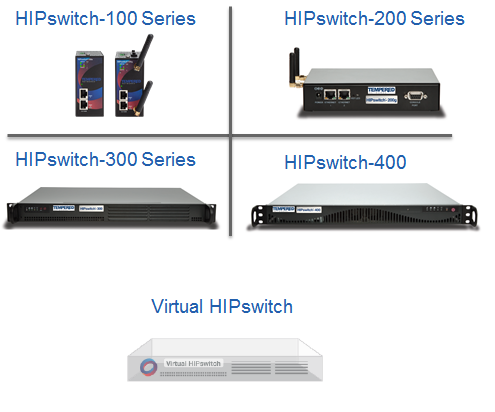 Recognized by the Internet Engineering Task Force (IETF) community as the next possible big change in IP architecture, HIP is a standard-track network security protocol, approved by IETF in 2015. HIP was first deployed within the defense and aerospace industry as a cost-efficient and scalable solution to address growing threat environments. The technology has been in use for over 10 years at a fortune 50 company, and recently commercialized for the broader market. A Well-Tempered Network is a trusted identity-based overlay network, which provides end-to-end encryption. Configuration starts with zero trust, only allowing whitelisted devices to communicate in the trusted overlay. Tempered overlays are secure by default, highly scalable, and easy to deploy through a centralized orchestration engine. And, it even simplifies network micro-segmentation. Add, change, and remove secure overlay networks on the fly—with a few mouse clicks! Centralized management of security policies, explicit trust relationships, and monitoring/analytics of your secure trusted overlays is easy through our advanced orchestration engine, with a drag-n-drop UI. Access can be delegated to different users, while the governance of the entire solution is centralized and retained by the administrator. Multiple functionality within a single appliance to provide cost-effective and secure connectivity. Secure cellular communications: An integrated cellular modem provides secure cellular connectivity for distributed infrastructure, regardless of geographical location. Works across 2G/3G/4G/LTE networks and a variety of carriers including Verizon, AT&T, T-Mobile, AT&T, Telus, Rogers with automatic failover between wired and cellular to ensure operational availability. Enhance your security posture by blocking traffic from untrusted (non-whitelisted) devices. Learn how we can help cloak your business critical networks, communications and vulnerable endpoints.